With nearly 20 years in the restaurant business and three years as owner of Ollie’s Lebanese Cuisine in Dearborn, Chef Ali Hojaij has built on his experience and success to open a second restaurant at 101 Brookside Lane in Brighton. According to Hojaij, the 140-seat Brighton restaurant features the authentic, freshly made Lebanese dishes that have been in his family for generations and have contributed to his restaurant’s popularity. 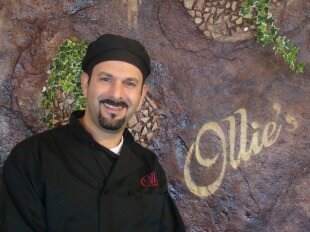 Ollie’s serves a wide variety of charbroiled, broiled, sautéed and vegetarian entrees including shish tawook, shish kafta, marinated chicken and fresh, puffy pita bread baked in a stone oven. Along with providing a complete fresh juice bar, the Brighton restaurant will soon be able to serve a variety of liquors and wine. “We look forward to building strong relationships within the Brighton community and providing off-site catering services to area businesses and organizations,” said Hojaij. “We want to be the restaurant of choice for quality Lebanese dishes for residents, businesses and tourists along this busy I-96 corridor.” Hojaij adds that excellent customer service and cleanliness are also critical to running a successful business, and he works closely with the restaurant’s employees who are also members of the local community. Once finishing touches are completed to the restaurant’s traditional Mideastern décor, Hojaij looks forward to hosting an official grand opening celebration. The Brighton restaurant is conveniently located in the Brookside Shopping Center off of West Grand River Avenue, near the 145 interchange for I-96. Ollie’s Lebanese Cuisine in Brighton is open from 11 a.m. to 10 p.m. Monday through Thursday, 11 a.m. to 11 p.m. on Friday and Saturday, and 12 p.m. to 9 p.m. on Sunday. 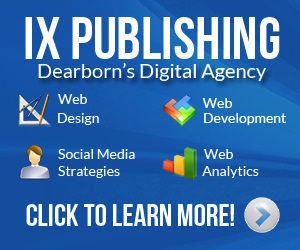 The Dearborn restaurant is located at 16351 Ford Road in the Fairlane Meadows Shopping Center.